This breathable and lightweight hiking pant is made for demanding day trips and longer adventures. Engineered for maximum freedom of movement, the versatility of this pant will open up to new adventures in the sunshine, wind or even light rain. 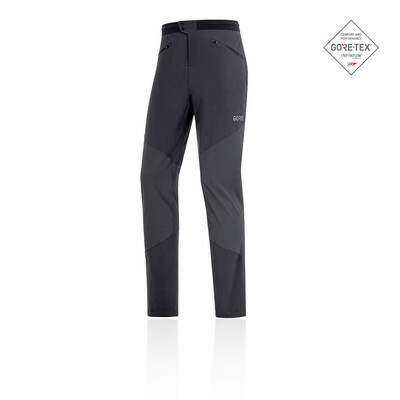 Constructed using GORE-TEX Infinium, the GORE H5 Partial GORE-TEX Infinium Pants ensure a breathable, windproof and highly water resistant membrane that is guaranteed to provide comfort. Offering maximised comfort and unique performance the fabrication works to protect against harsh winds and light rain ensuring you remain warm, dry and comfortable at all times. GORE-TEX Infinium is also super breathable and provides excellent moisture management; the fabric allows a steady airflow which works to keep the body feeling cool and comfortable. The fabric works to wick sweat away from the skin for quick evaporation. A persistent beading surface on the face fabric ensures additional weather protection; water is simply repelled away from the skin reducing the chilling effect and ensuring a minimal weight gain. A form fit is designed to be slim fitting but not too tight, it ensures a sporting silhouette without hugging the body so your movements remain unrestricted. 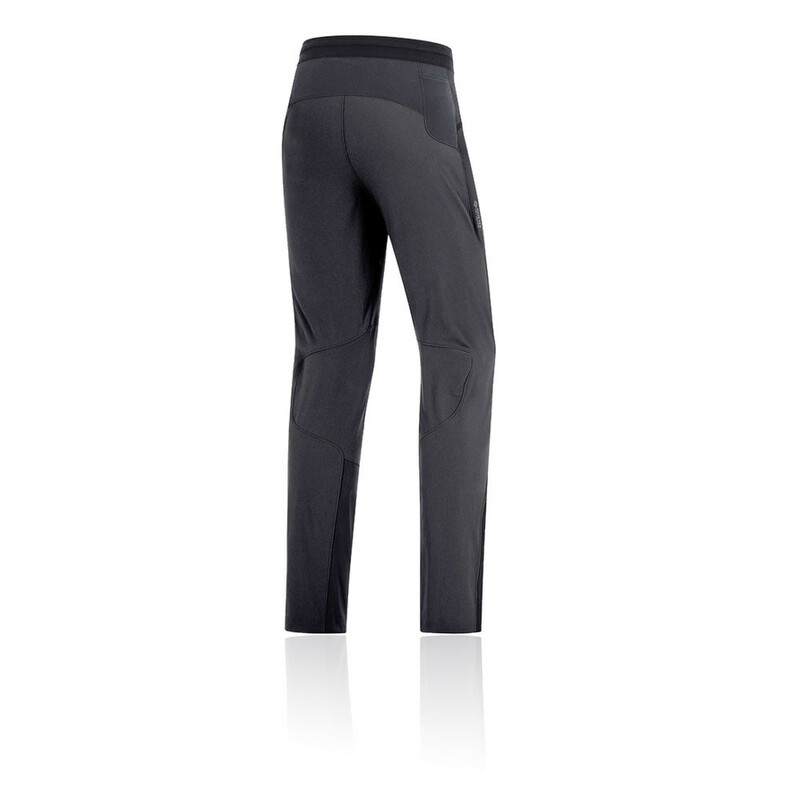 A wide elastic waistband with integrated drawcord provides excellent comfort and much-need adjustability. The lace hook on the leg allows these pants to be attached to a shoe for added protection when the weather takes a turn for the worst. An adjustable hem at the ankle works to seal in any escaping heat, it also ensures a stay-put fit. Lastly, two hip pockets provide easy access to storage, plus two zippered front pockets are perfect for valuables. GORE-TEX Infinium - Ensures durable, lightweight and breathable protection against harsh weather conditions. Elastic Waistband - Provides a comfortable, optimum fit. Lace Hook - Can be used to attach a shoe. Adjustable Ankle - Helps to trap escaping heat. Pockets - Provides ample storage for essential items.